In the Far East, South Korea announced that exports plunged an incredible 14% in December, confirming the global economy has indeed ground to a halt; whilst Macau gaming revenues were found to have collapsed 34% in 2015 – confirming the global consumer is “tapped out.” Which, by the way, is exactly what my wife found out at Nordstrom’s Rack this weekend, when “post New Year’s Day sales” were so drastic, even she was in awe of the 80% discounts; as the U.S. retail industry, “racked” with its highest-ever inventories; plunging sales; and too many employees, is about to report that indeed, this year’s holiday season was as bad as 2008. Here in the United States of Economic Decimation, we not only are contending with collapsing retail sales, as the “consumption” that accounts for 70% of GDP implodes; but a devastating Mississippi River flood. Heck, not only did “head TBTF” bank Bank of America espouse its view that corporate earnings are on the verge of a bigger drop than 2008, but actually admitted financial markets are manipulated by the Fed! And this, whilst fellow Federal Reserve “partner” JP Morgan opened the year by telling clients “equities are unlikely to perform well over a 12-24 month horizon” and “the regime of buying the dips might be over, to be replaced by selling any rallies.” And geez, top MSM cheerleader Yahoo! Finance’s “top story” all weekend focused on how the Fed’s supposed “rate hike” has not actually occurred, whilst collateral rates have surged due to fears of expanding debt defaults. As I write, it’s nearly 8:30 AM EST, so let’s just leave it at that, and see what “happens” in this, the opening trading day of what I last night told my wife would be an “inflection year in global history.” On that note, let’s move on to today’s very important topic, of a potential strategy to prepare for what’s coming. Which is, a discussion of the “forgotten Precious Metal,” platinum, which in the past, I have rarely spoken of. To that end, recall that platinum, palladium, and rhodium are, like gold and silver, members of the “precious metals” group. Rhodium is so rare, it’s essentially “un-investable”; and in my view, palladium is, for all intents and purposes, an industrial metal. However, platinum is far closer to gold and silver in its perception, given how rare it is, and sought after due to its durability and beauty. Thus, whilst there is no history of platinum serving as a “monetary metal,” its price action has largely mirrored that of gold and silver, directionally speaking. To that end, the chart below depicts the correlations between gold, silver, and platinum over the past four decades – specifically, since the Precious Metal bull market commenced at the turn of the century. As you can see, the three metals have moved largely in tandem, particularly when one excludes platinum’s anomalous price spike, amidst a massive South African electricity shortage, in late 2007 and early 2008. During 2015, platinum prices fell more sharply than gold and silver, despite collapsing platinum production; a dramatic scarcity of retail bullion product; and the platinum industry’s increasingly dire production outlook. To wit, industry-wide production, of which a whopping 70% emanates from the imploding economic wasteland of South Africa, peaked in 2006 at a measly seven million ounces – or barely 5% of global gold industry output – and fell to less than six million ounces in 2015. Given that industry-wide capital expenditures have plunged by nearly 70% over the past decade, it’s unlikely production will rise anytime soon – particularly as, at $875/oz, platinum’s price is at least 50% below its marginal production cost, of roughly $1,200-$1,400/oz. 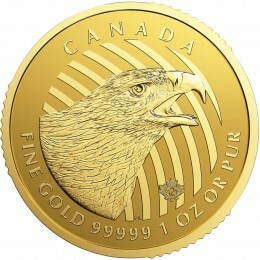 Meanwhile, bullion supply has been so scarce, the U.S. Mint stopped selling Platinum Eagles from 2009 to 2013. After which, it briefly re-started sales in 2014, for a mere 10 months; as after selling just 16,900 additional ounces, it ran out of supply in October 2014, and hasn’t sold another ounce since. 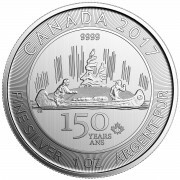 Similar shortages have been experienced with Canadian Platinum Maple Leafs and Australian Platinum Platypuses. However, if one is opportunistic, they can still – for now – secure material amounts, particularly in the non-government-issued platinum bar market. The catalyst for this article – aside from a plea to Precious Metal owners to consider the optimization of their portfolios, given the opportunity afforded by last year’s extreme market movements, is that the gold/platinum ratio, amidst the most bullish Precious Metal – and platinum – fundamentals in generations, has risen to the high end of its historical range, with gold currently selling at a 22% premium to platinum, versus its 40-year average of a 17% discount. To that end, I am not saying the gold/platinum ratio must, or will, revert to, or below, its historic average. However, in light of the aforementioned factors, it does seem likely that this ratio will come down; just as, I might add, the gold/silver ratio should. Now that 2016 has arrived – and with it, the possibility of the most violent political, economic, social, and financial conditions of our lifetimes, we cannot emphasize enough the necessity of protecting yourself from what’s coming. Now, more than ever, is the time to look at your financial assets, consider if you are rightly “positioned,” and act accordingly. 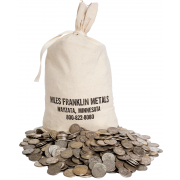 Here at Miles Franklin, we are commencing our 27th year in business, with as much expertise – and trust – as you’ll find in the bullion industry. To that end, not only can we help you to buy, sell, and store Precious Metals, but optimize Precious Metal portfolios that could be modified and/or “upgraded” at a bare minimum of cost. Good point. However, when I spoke to Turd – as well as all the other times I have spoken of platinum – I certainly didn’t dismiss it entirely. Kind of like my stance on mining stocks, which has long been misinterpreted. In the case of mining stocks, I have never said they can’t, or won’t rise with PM prices. Only that they carry tremendous amounts of risk relative to physical metal, especially with the metal currently trading well below the cost of production. As for platinum, I have always said the I would not OVERWEIGHT it in a precious metal portfolio – due to not only its lack of monetary history, but illiquidity relative to gold and silver. That said, it has been desired for its “monetary-like” properties for centuries – particularly in jewelry – which is certainly a store of value. Moreover, its 90% correlation with gold and silver prices over the past 40+ years cannot be ignored either – although, as they say, past is not prologue. Moreover, given TODAY’s situation – in which the gold/platinum ratio has surged to nearly its all high; as platinum production (and the South African mining industry) implodes; with prices WAY below the cost of production; and a SEVERE shortage of physical metal that has gone on for years; it’s difficult to ignore it as a modest diversifying tool to precious metal portfolios. Like, say 5%-10%. Moreover, if you don’t buy platinum outright, you can do so with the proceeds of a tax-loss-creating sale of gold, silver, or any other asset with paper losses. As for me, I own a very small amount of platinum, but actually bought a little after doing this compelling research. Roughly 1%-2% of my PM holdings are platinum, and I don’t expect that percentage to rise to more than 5%. Interesting, so it sounds like you’re viewing it more of a hybrid of speculation and monetary considerations based on its past correlations with gold/silver. Thanks for the reply! You’re very welcome. 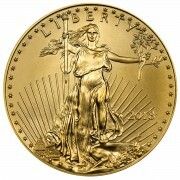 Trust me, if the worst-case scenario occurs, I’d rather have platinum than ANYTHING aside from gold and silver! Great Analysis, Andy! Platinum looks like a screaming value, but as you imply, might take a while for the ratio to approach a norm with Gold. I would think all PMs are set to rise, provided the manipulations are broken.